November is National Alzheimer’s Disease Awareness Month, designated by Ronald Reagan back in 1983. It’s a time to raise awareness about one of the most common, yet devastating, degenerative diseases affecting our senior citizens. Many nurses interact with Alzheimer’s patients on a daily basis, along with patients with other forms of dementia like Pick’s disease. This experience can be humbling — many of these once-vibrant people now struggle with even the most basic tasks of daily life, eventually losing their independence, their personality, and in some ways, even their dignity. Nurses in their 40s and above often have aging parents, and young nurses may have living grandparents. Our aging loved ones are often at risk of eventually developing Alzheimer’s disease symptoms as they age. Caring for a loved one with Alzheimer’s or other forms of dementia can be incredibly emotionally taxing, as those of us who have lost parents or grandparents to the disease are all too aware. As of now, there’s no real cure for Alzheimer’s. Medications like Aricept can be helpful, and there may be ways to reduce your risk by living a healthy lifestyle and keeping yourself mentally engaged as you get older. Even highly intelligent people can eventually develop Alzheimer’s. Every five years after age 65, your risk doubles. However, for people struggling with this condition, there may still be hope. Multifaceted early intervention, including medication and psychosocial interventions, can help slow down the progression of the disease and improve the person’s quality of life. To get help early for your aging loved ones, you need to know the early onset symptoms of Alzheimer’s disease. Alzheimer’s disease almost always begins to develop after age 65. However, around 5-10% of cases experience symptoms before the age 65, usually among people with a family history and genetic predisposition. But the older a person gets, the higher their risk of developing the plaques and tangles in the brain that cause the disease and its symptoms. Alzheimer’s symptoms such as below, are relatively subtle, affecting memory and cognition. Memory loss that begins to disrupt everyday life. Forgetfulness is often dismissed as a normal sign of aging, but it often foreshadows the later progression of Alzheimer’s disease. A person may begin asking the same questions more than once or forgetting important information that they learned recently. Difficulty with problem-solving and complex cognitive tasks. People with early-stage Alzheimer’s disease also start having trouble with cognitive tasks that they used to be able to handle. Things like keeping track of expenses or following a recipe in a cookbook become harder than usual. Concentration may also be impaired. Time and place confusion. The person may start forgetting what day it is, what time it is, or how they got where they are. Vision and visual processing problems. Alzheimer’s also impacts people’s visuospatial processing. Their depth perception may suffer, and they may begin having trouble understanding spatial relationships in 3D space or in 2D images. Verbal problems. The person may forget words frequently,or have trouble expressing themselves verbally. Poor judgment. A person in the early stages of Alzheimer’s may begin making unusually poor decisions, in a way that’s out of character for them. Over time, these problems begin to worsen. Personality changes and mood issues may also develop, with elevated anxiety and irritability. 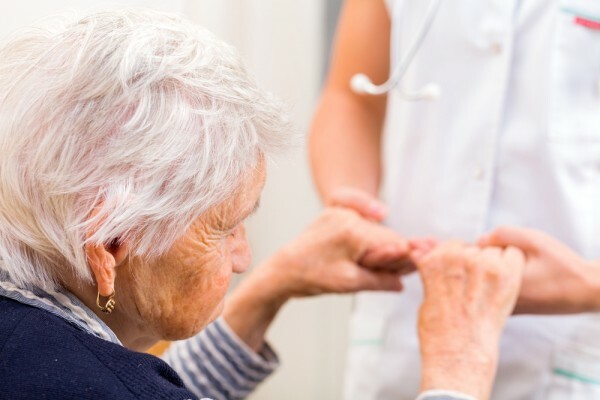 However, neuropsychological testing can detect signs of cognitive decline early in the process, allowing for earlier intervention that leads to a better clinical outcome. Visit page 2 for testing & treatment information.